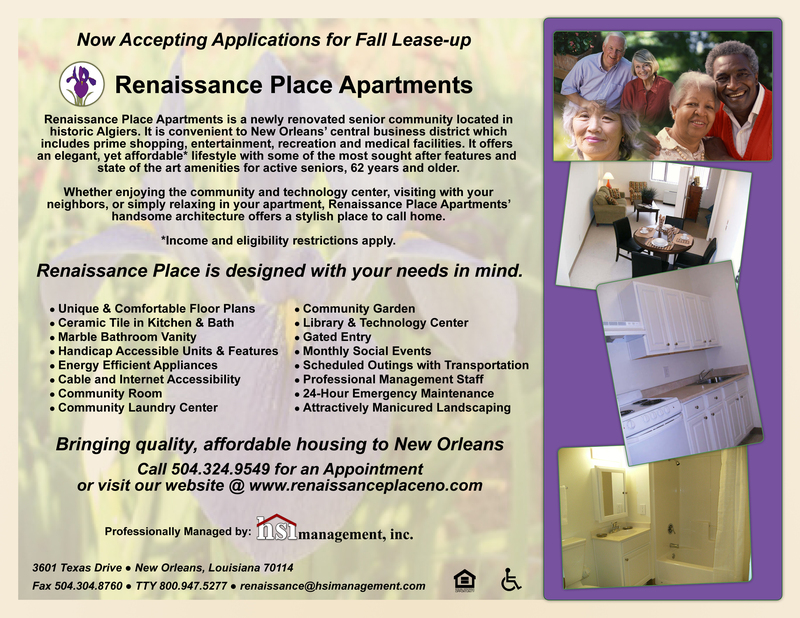 Welcome home to the wonderful world of senior living at Renaissance Place in New Orleans, Louisiana. 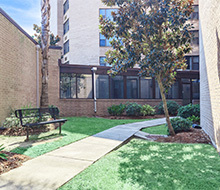 Our newly renovated senior community is located in historic Algiers near the New Orleans Central Business District. Here you will experience all the shopping, dining, and great entertainment New Orleans has to offer. Discover the new lifestyle waiting for you at Renaissance Place. 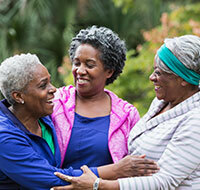 Our community living sets the standard for seniors 62 and better. We offer unique and comfortable one bedroom floor plans. All homes include energy efficient appliances and a purified water filtration system. The kitchen and bathroom both feature ceramic tile. 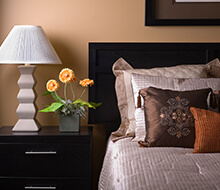 With our unmatched combination of comfort and quality, Renaissance Place is sure to exceed your expectations. From the moment you arrive, you will feel right at home. We invite you to enjoy all of the community amenities we have to offer. Take a relaxing stroll through the garden and sign up for our monthly social events. 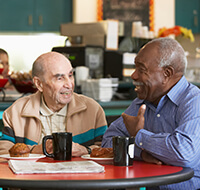 You will enjoy getting to know your neighbors in the community room, library, or technology center. Get out and see the town using our community scheduled outings where we provide the transportation. Come and indulge in life's simple pleasures at Renaissance Place! Call today to schedule your personal tour.